Two-year-old Indali Hi Way is being treated for EEHV which in the past has almost always proved fatal. Elephant experts, conservationists, scientists and veterinary teams at the zoo are working tirelessly to provide Indali with the very latest treatments available. They include new state-of-the-art blood plasma transfusions, anti-viral medications and immune boosting treatments similar to that received by humans during cancer care. The teams are monitoring the calf around the clock. In an update today the zoo said Indali Hi Way is continuing to undergo intensive treatment. 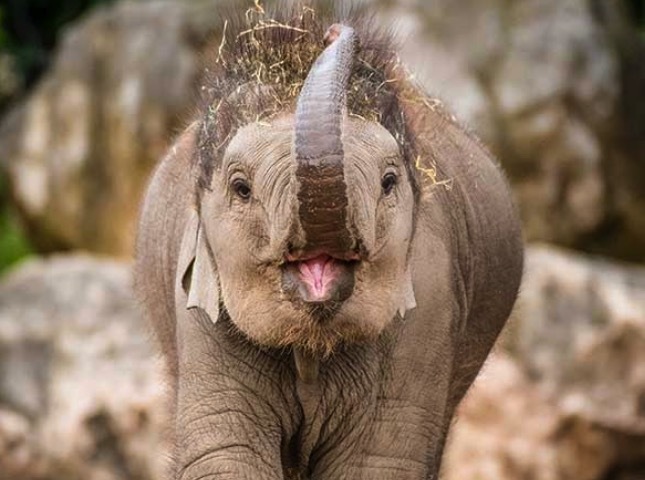 “Indali is proving to be a real little fighter and the zoo’s team will continue to do absolutely everything possible to give her the very best chance of overcoming this devastating disease.” A spokesperson for the zoo said. 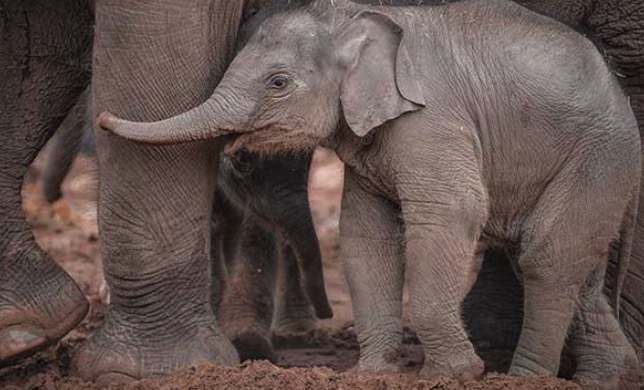 Last October three-year-old Nandita Hi Way and 18-month-old Aayu Hi Way – two much-loved members of the zoo’s close-knit family herd of rare Asian elephants – both tested positive for the fast acting EEHV and died shortly afterwards. EEHV is known to be present in almost all Asian elephants, both in the wild and in zoos across the globe, but only develops into an illness in some elephants. “Our teams will continue to work around the clock to give Indali every possible chance of pulling through from this awful virus using the very latest, innovative treatments we’ve developed. We were able to detect the virus at the earliest possible moment in our on-site science centre, where we analyse blood samples from the elephants and are able to pick up the virus as soon as it becomes active in the bloodstream. Although it was such early stages and Indali looked happy in herself, we couldn’t take any risks due to the fast-acting nature of the virus and began treatment immediately; administering anti-viral drugs, as well as flushing her system with blood plasma from an elephant with a perfect blood type match. Whenever this deadly virus strikes, the odds are stacked against us, but we have never been more hopeful that we can win the battle against EEHV. EEHV is known to be present in almost all Asian elephants, but only develops into an illness in some animals – it is currently unknown why this is. The virus has led to deaths in eight countries across the Asian elephant’s wild range including India, Sri Lanka, Nepal, Thailand, Cambodia, Laos, Indonesia (Sumatra & Borneo) and Myanmar – as well as cases recorded in zoos and sanctuaries. The virus is now one of the biggest threats to the long-term future of Asian elephants globally. Huge progress has been made in the fight to find a cure – with new potential vaccines being trialled in the near future that could solve the crisis for the species – but right now that battle is ongoing.